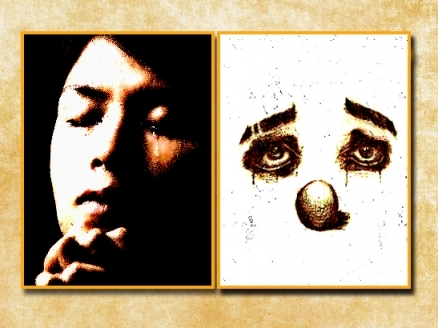 Even the most determined opera resister will have heard of “I Pagliacci,” the tragic story of a clown, told in Ruggero Leoncavallo’s great one-act masterpiece of opera “verismo” (“realistic” opera about common people). Fewer will be familiar with “Cavalleria Rusticana,” another one act verismo masterpiece by Pietro Mascagni, both dating from the late 1800s. The composers were one hit wonders, and by an accident of history, their masterworks seem to be permanently wedded in performance: for a century, the Cavallier and the Clown have invariably stepped out together, the two one acts making for a single evening of musical melodrama. Both short operas tell intense stories of passionate love triangles which end in murder. Both feature memorable musical highlights. On the night I attended performances by Verismo Opera, “I Pagliacci” succeeded far more than “Cavalleria Rusticana,” which opened the evening. Things did not go well in the beginning, and this “Rusticana” was rusty, in spite of a fine performance by Chris Wells as the cuckold, Alfio. Happily, “I Pagliacci” fared much better. Chris Wells sang and acted the role of the narrator, Tonio, with great charm and charisma, and Josh Bongers was a fine Canio, the clown. Above all else, with this opera, one hopes to be thrilled by the famous aria, “Vesti la giubba” (“Put On Your Costume”) in which Canio prepares to perform although his heart is broken. Bongers sang wonderfully and delivered the thrills both vocally and emotionally. As his beloved Nedda, Melissa Mallory’s comic acting was charming indeed. It is always a pleasure to see opera in a small theatre, close up, without all the brouhaha and folderol that accompanies a trip to grander opera houses. As always, Verismo Opera’s effort is admirable, the performances warm and sincere, and the staging (by Frederick Winthrop) direct and effective. Audiences should have a good time. 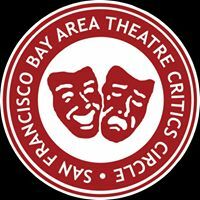 Performances of “Cavalleria Rusticana” + “I Pagliacci” continue at the Mira Theatre in Vallejo through 9/16/18. Casting varies for each performance. For further information, click here. Posted in Reviews.Tagged Chris Wells, Cvalleria Rusticana, Frederick Winthrop, I Pagliacci, Josh Bongers, Melissa Mallory, Opera Verismo.